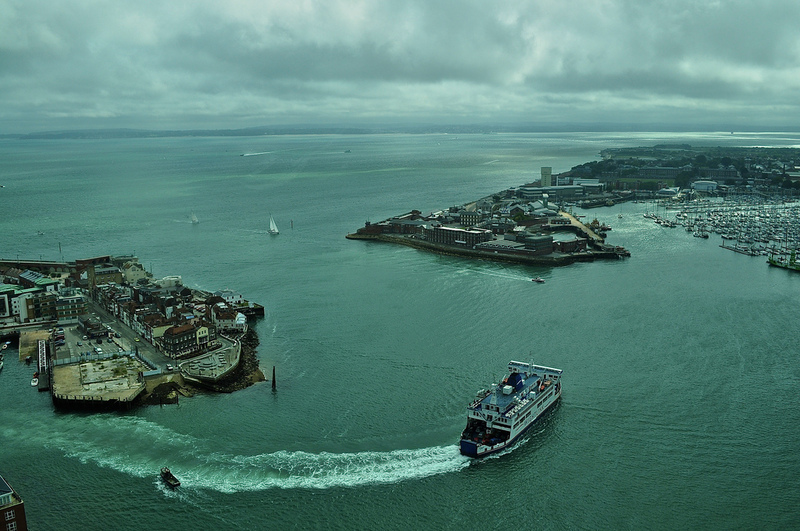 Portsmouth’s Spinnaker Tower is one of the city’s most noticeable landmarks. 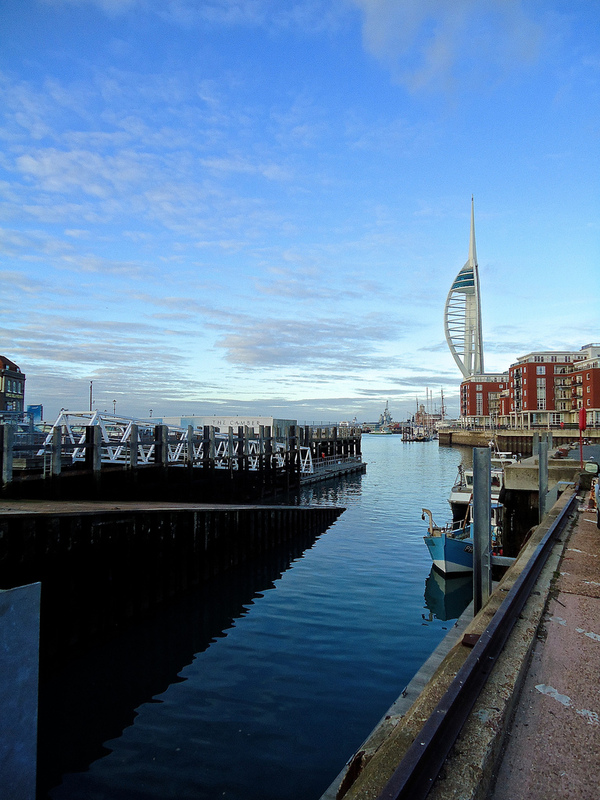 A Millennium project which finally opened in October 2005, The Spinnaker Tower has since attracted over two million visitors. With views stretching over 23 miles, there are three viewing decks – the first at altitude 100m (328 feet), the second at altitude 105m (344 feet) and the Sky Deck at altitude 110m (360 feet). To the East, you will see Sussex’s Witterings and Selsey Bill, to the West, the New Forest, to the South, the Isle of Wight and to the North, the South Downs. 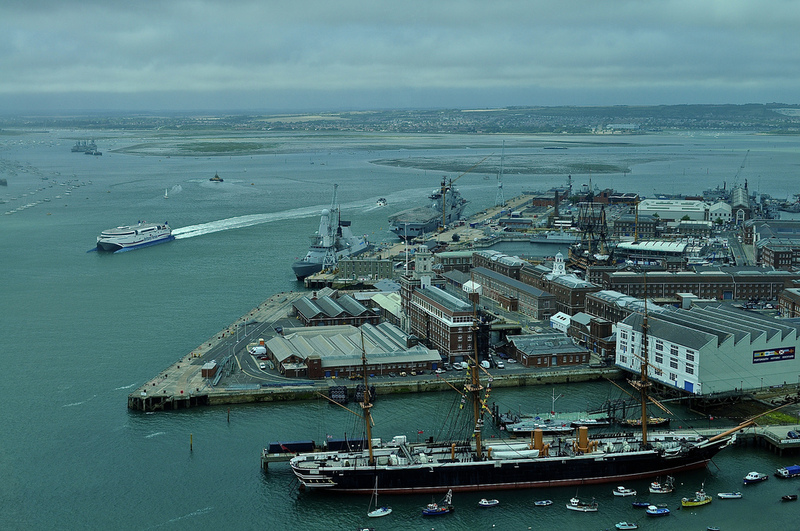 Accessed via Gunwharf Quays and next to Portsmouth’s Historic Dockyard, the tower itself is founded on 84 piles, the longest of which runs some 50m into the ground – the equivalent of London’s Nelson’s Column. 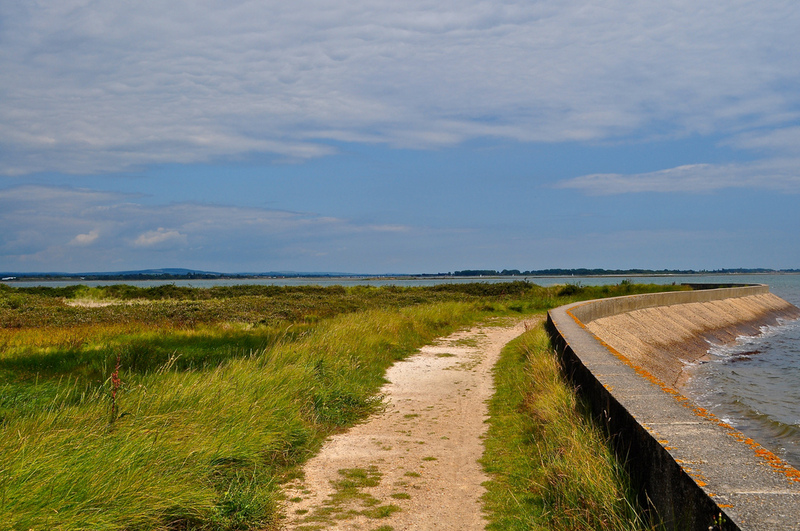 Entrance comes with a viewing guarantee – if you can’t see all three Solent Forts on the day of your visit, you may visit again for free within three months. At night, the Spinnaker Tower is often lit up in different colours so click here for the 2014 schedule. 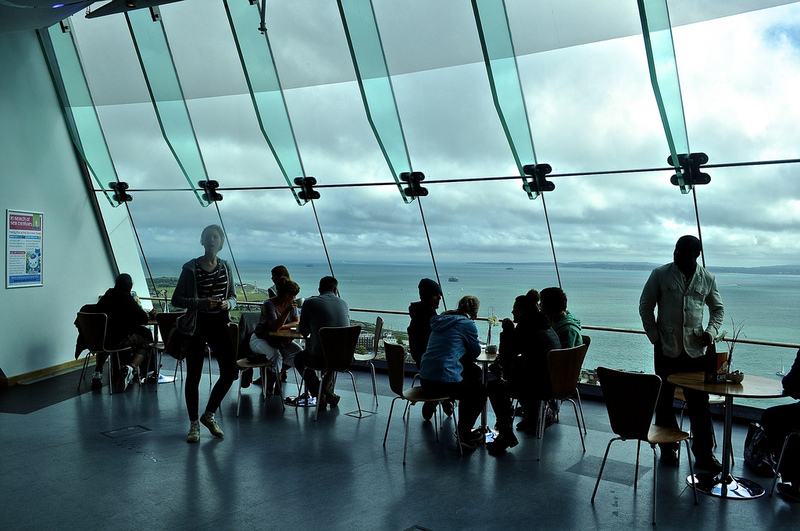 The Spinnaker Tower is open from 10am to 5.30 pm (last entry) until 31st July with adult tickets priced at GBP8.95. 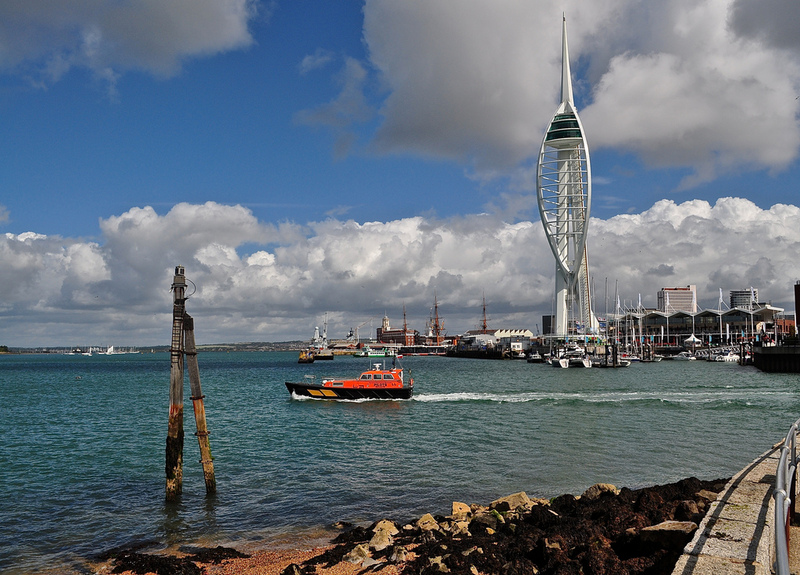 They are on Twitter @SpinnakerTower and on Facebook/Spinnaker Tower. 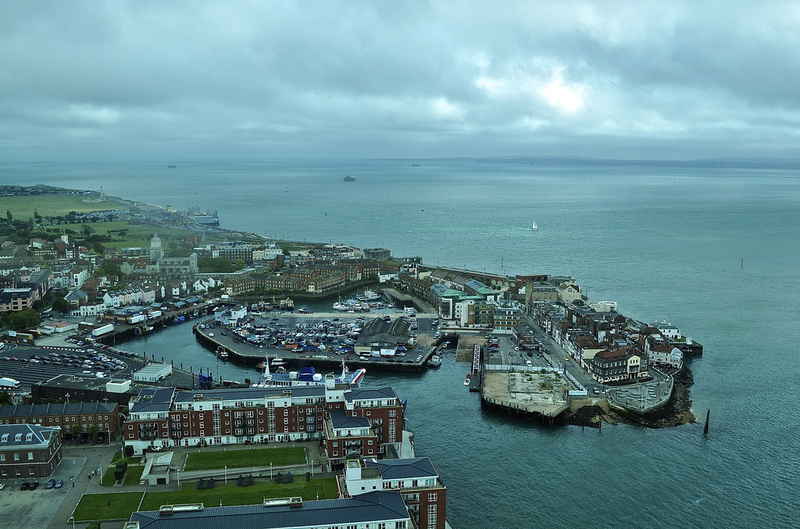 If you are a runner, why not take part in the Spinnaker Tower-Thon on 12th October 2014 at 10am. If you can run the 530 steps in the fastest time, you can win a trip to Vienna.